Appearances create Impressions! This statement becomes even more valid when we talk about objects. A person’s appearance is not the only factor to create an impression but for an object or a thing it is the appearance and appearance alone that can make or break the impression! Imagine standing below a tall and magnificent building with the sun reflecting off the windows and glass panels… impressive, right? But then you notice dust, grime, dirt and spots staring right back at you… Impression down to zero! Buildings- commercial or residential- need to be kept well maintained. While keeping it in functioning order is one aspect, keeping it clean is another very important aspect. At Nationwide Commercial Cleaning, we believe in making every corner and every detail of your space- Spotless and Sparkling! Why do you need Window Cleaning? High Rise Window Cleaning is a growing business because of the number of tall and impressive high rise buildings increasing every day! While it’s possible for you to clean the many windows and panels from the inside, the outside is beyond reach and requires special instruments and skill. Our Window Cleaning Melbourne team is experienced and has the equipment and skill required to carry out this task with complete professionalism, ensuring complete customer satisfaction. A ladder is just one of the basic tools and equipment, today there are numerous advanced equipment that make window cleaning a job for professionals. 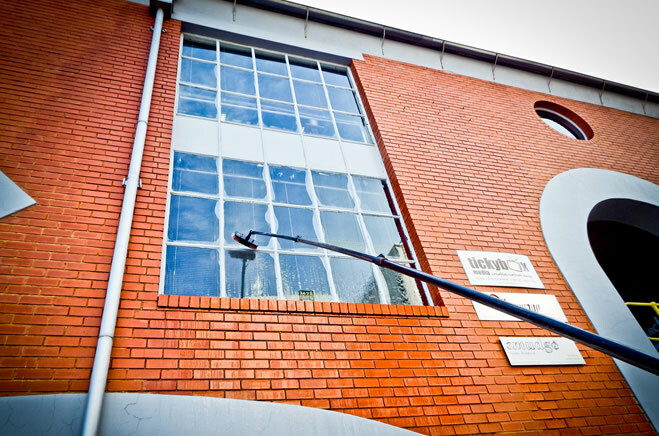 We provide the service for Abseil Window Cleaning that is not a task anyone without practice and skill can perform. One of the latest devices we use to clean windows is the waterfed pole. It is ideal for windows that are too high for most ladders, but not high enough to abseil down to. The poles use purified water that has had all the dissolved solids removed from it. This makes it react differently to ordinary tap water. It not only clings to the dirt on your windows and lifts it off, but it dries clear without leaving spots or streaks. For this reason, we don’t need to wipe the windows dry, saving time for us and costs for you. We maintain all safety regulations to avoid any accidents or damage to your property and work with high quality standards and equipment. There are many services for Window Cleaning Melbourne, but our years of experience and quality work makes us the most trusted and chosen by many!